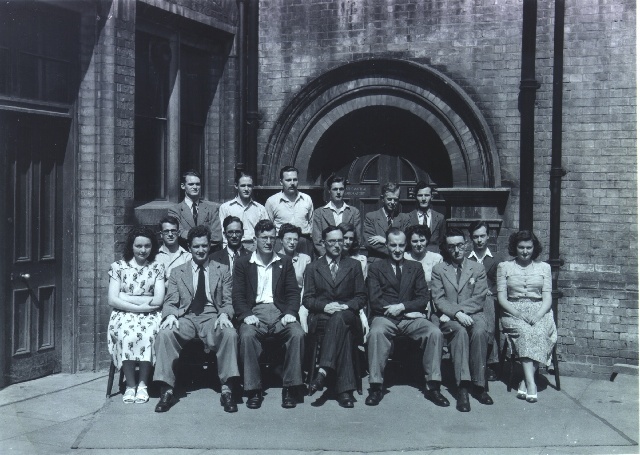 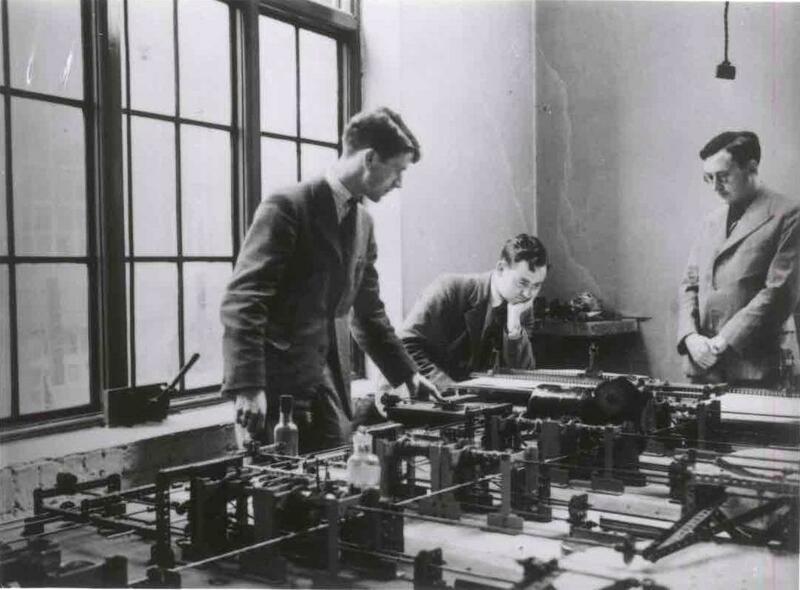 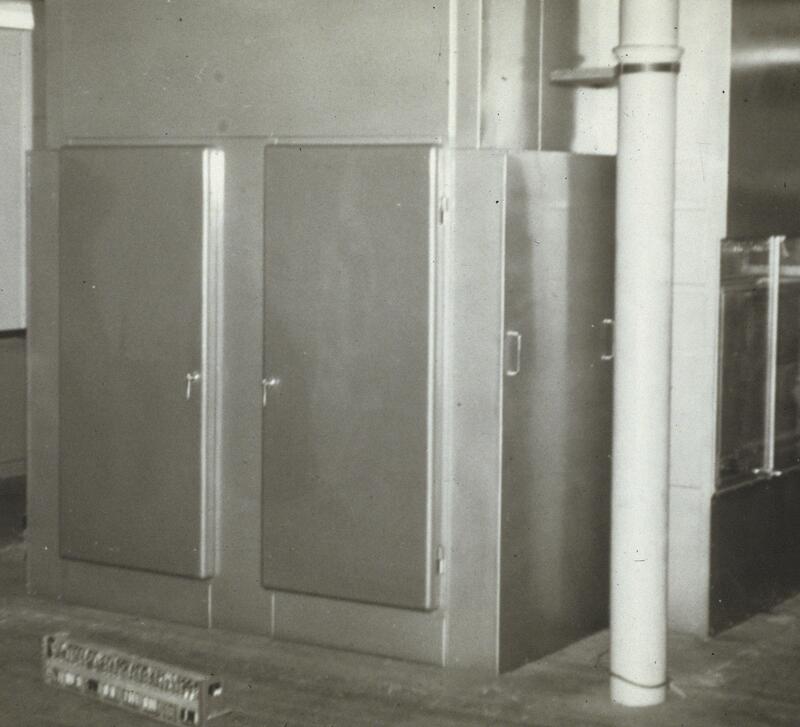 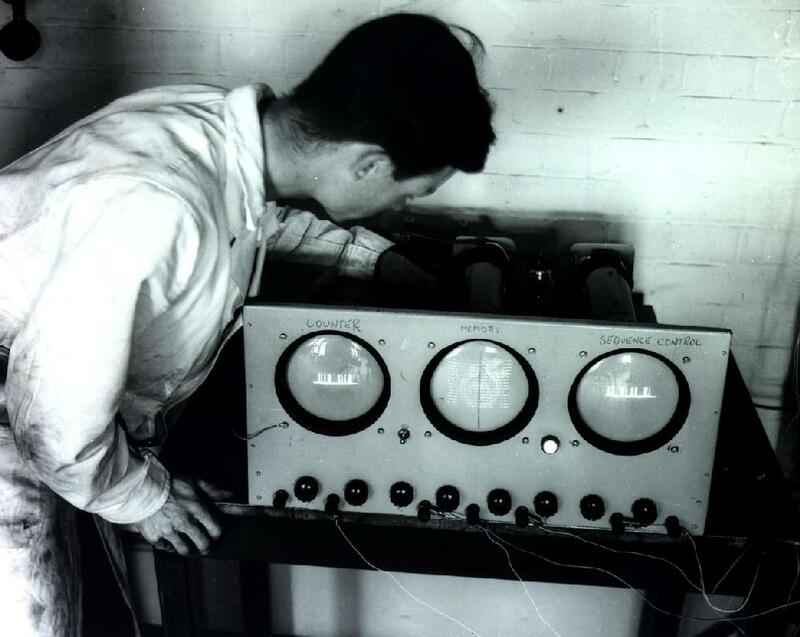 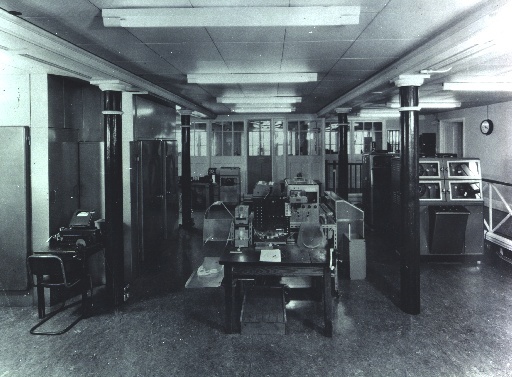 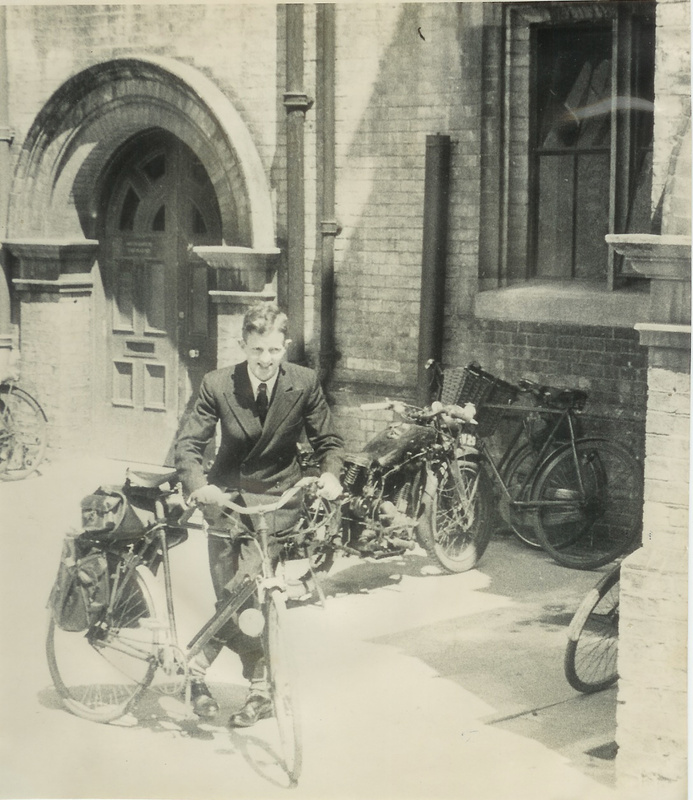 in the Physical Chemistry Lab, 1938. 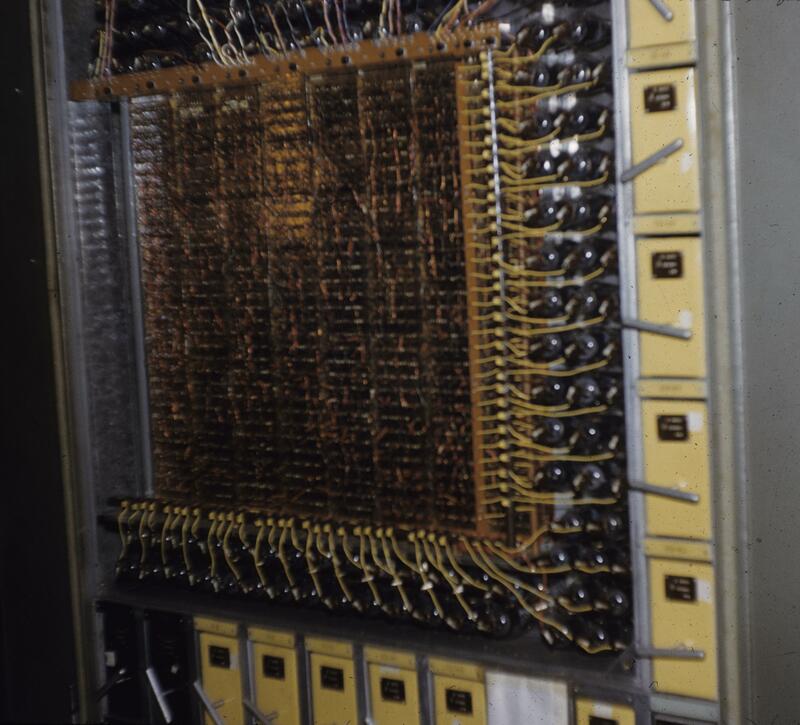 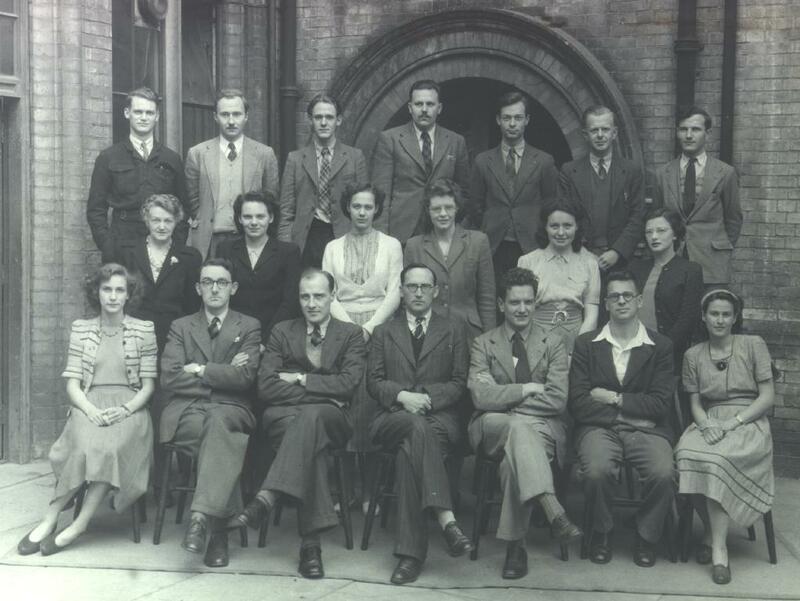 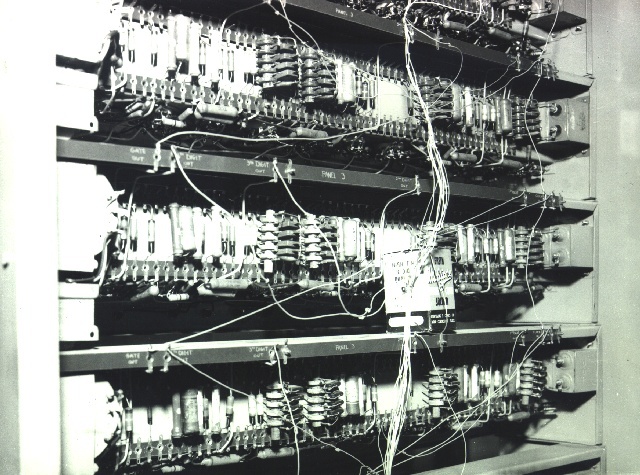 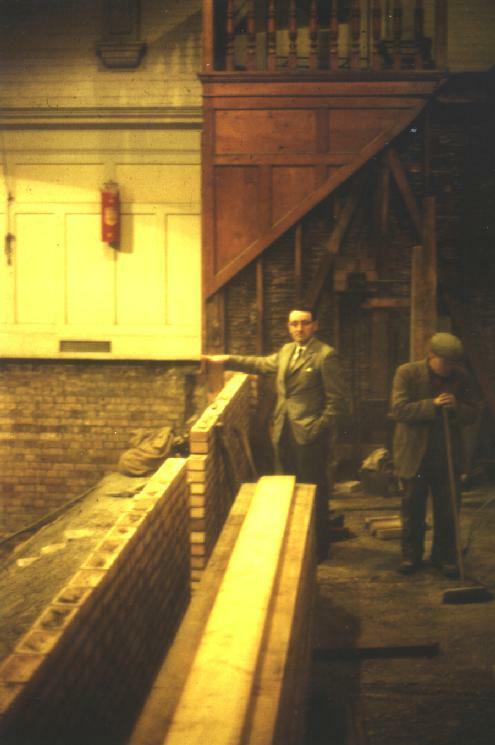 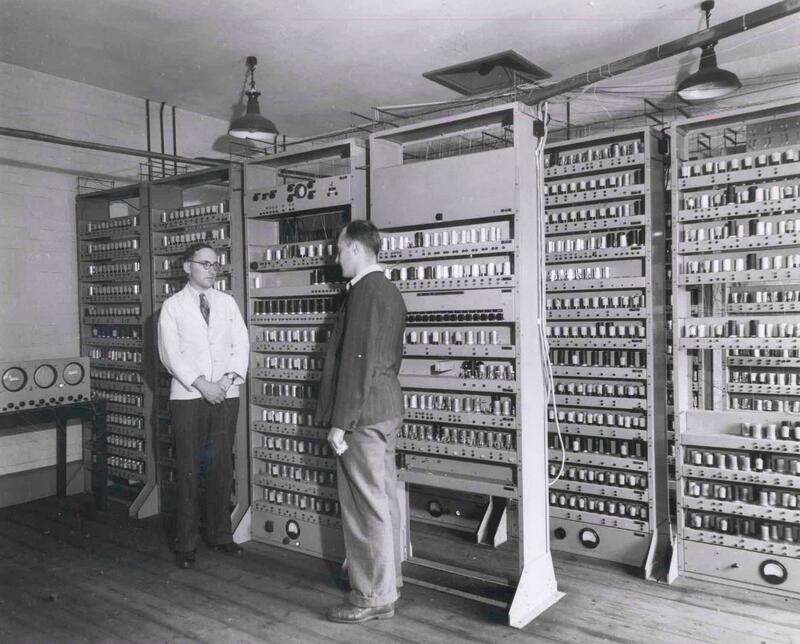 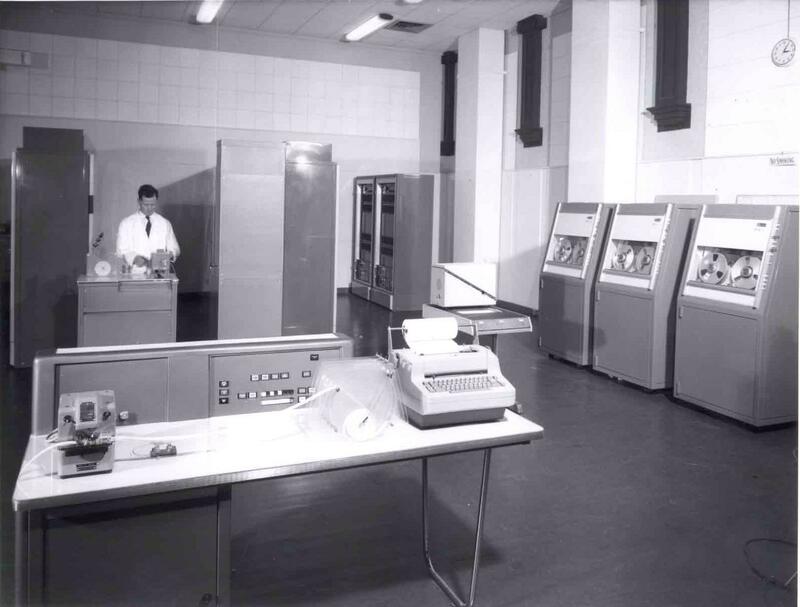 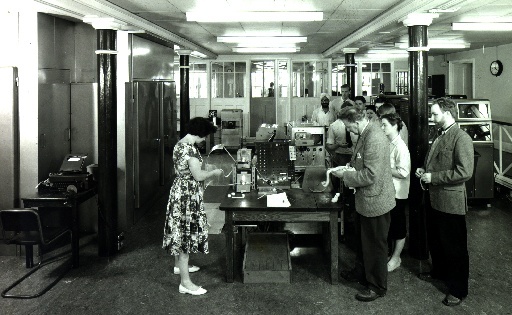 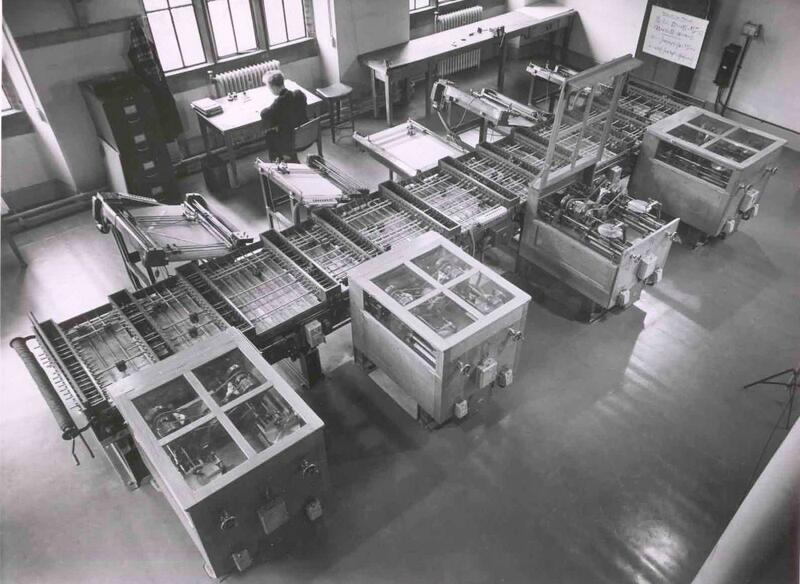 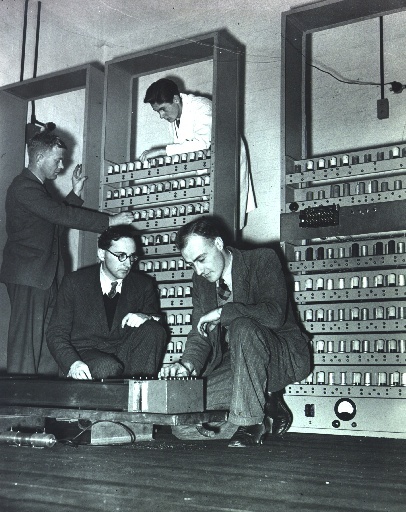 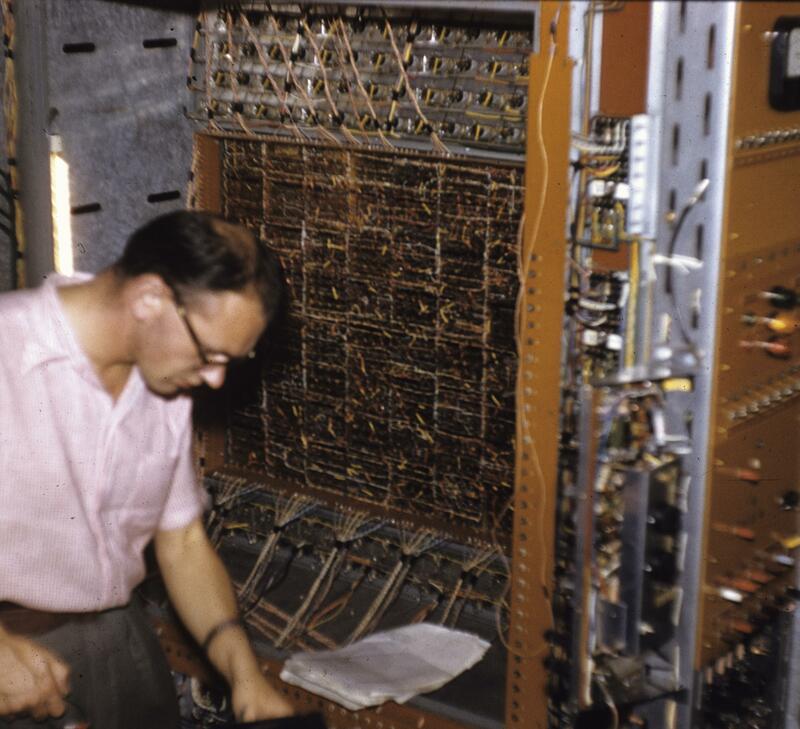 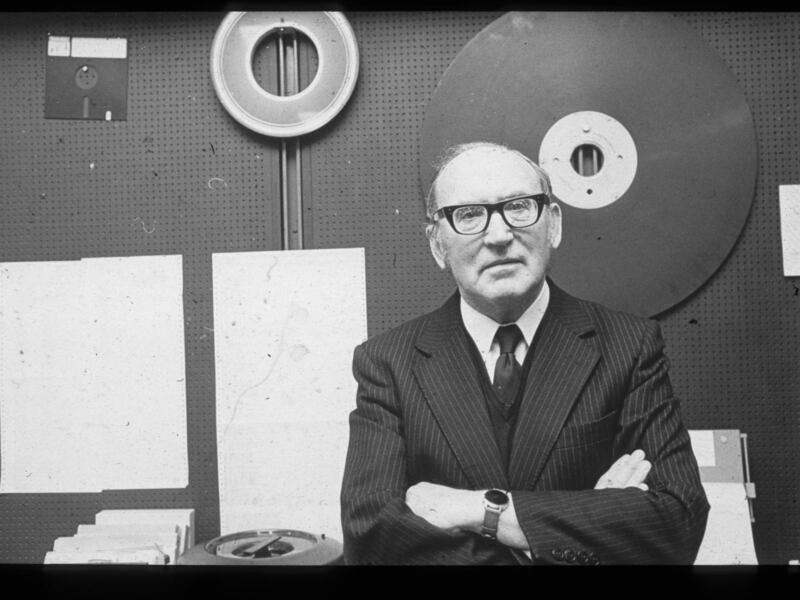 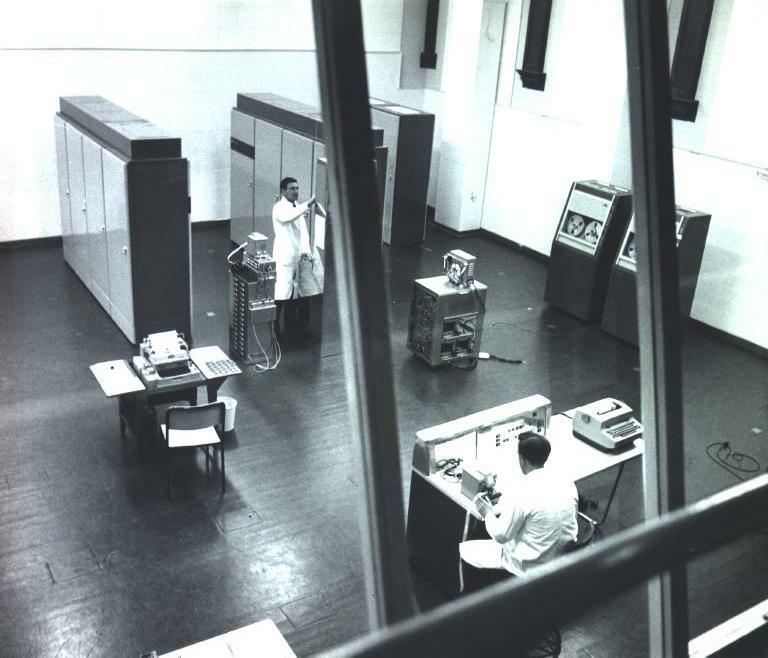 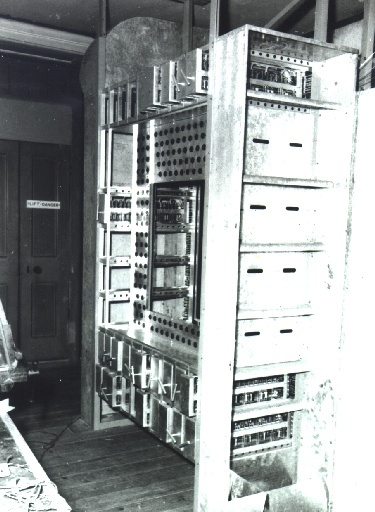 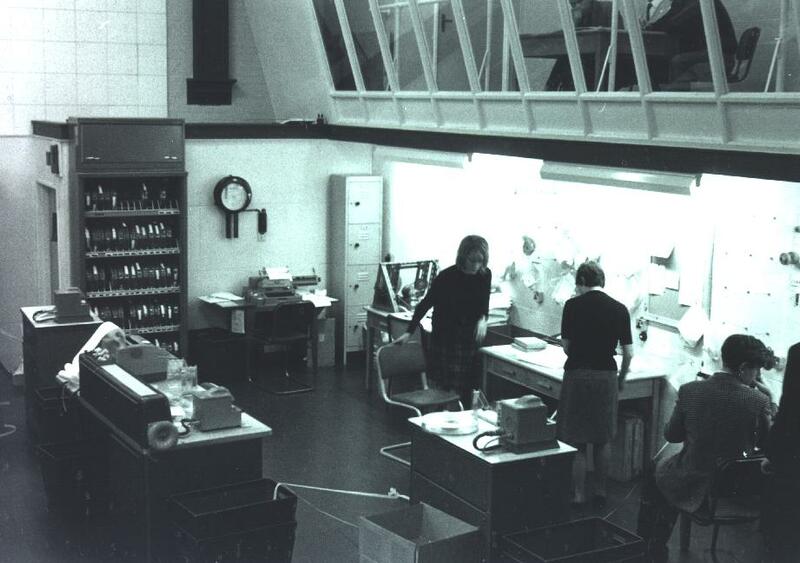 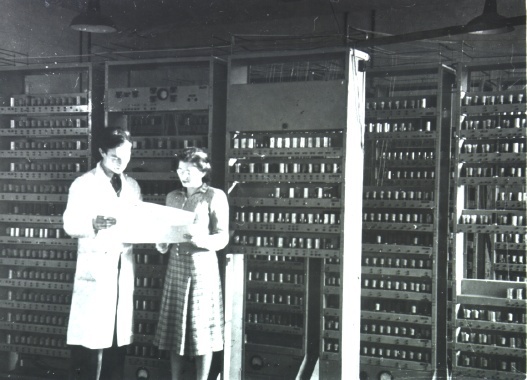 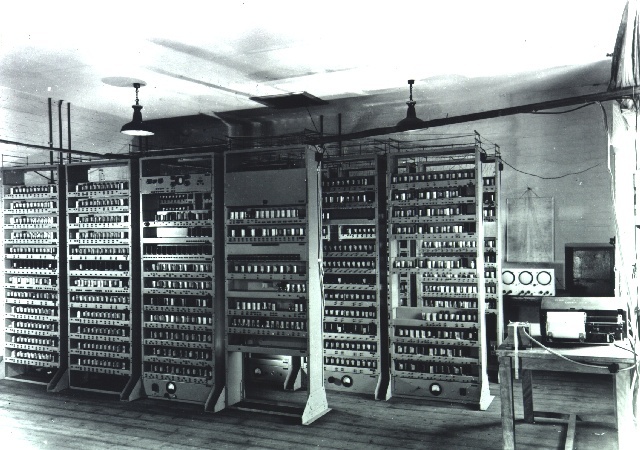 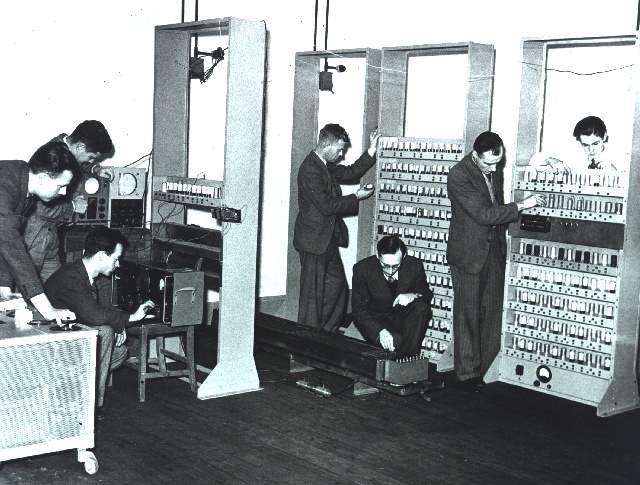 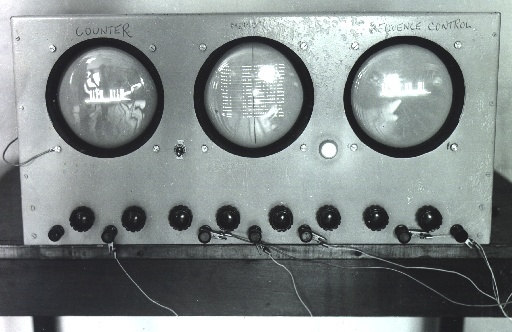 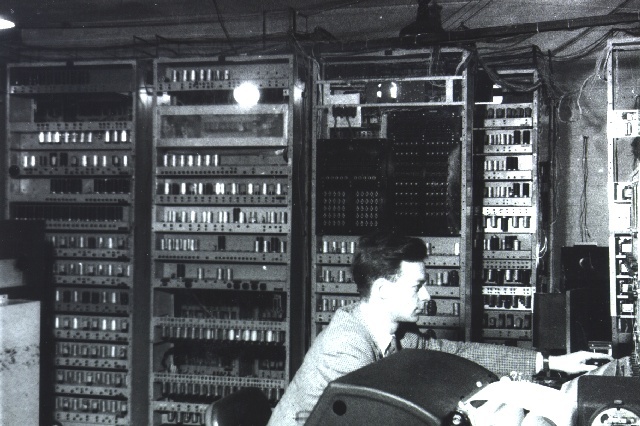 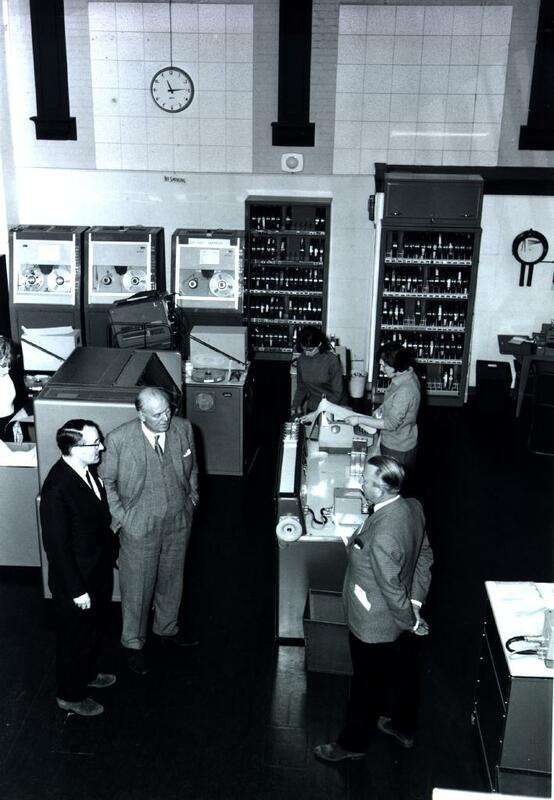 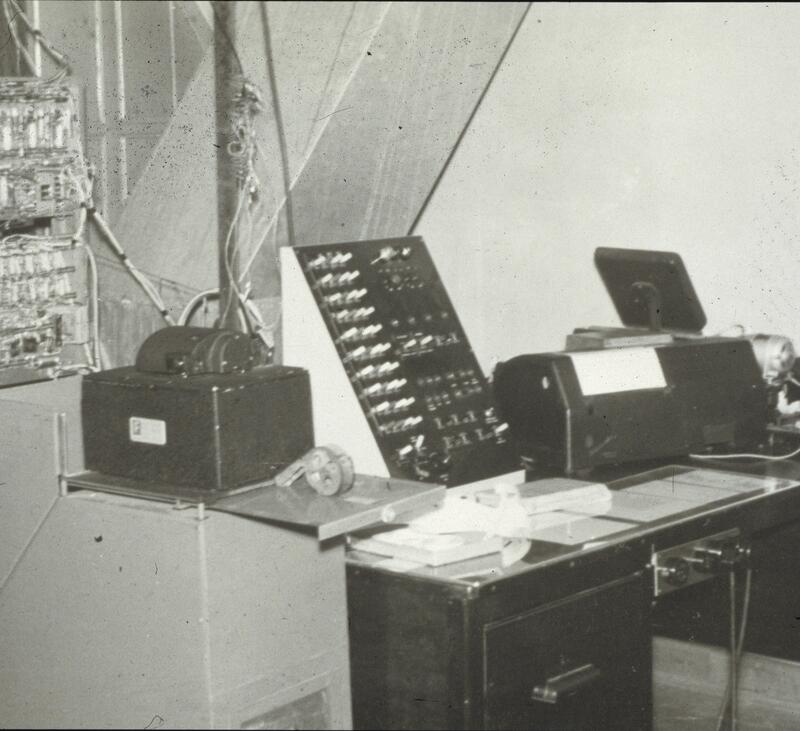 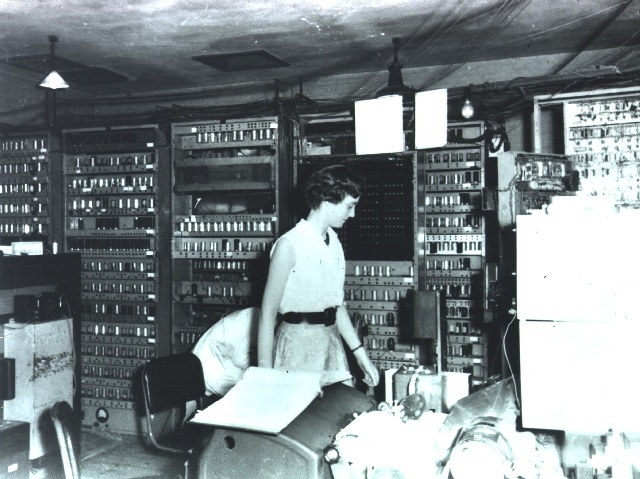 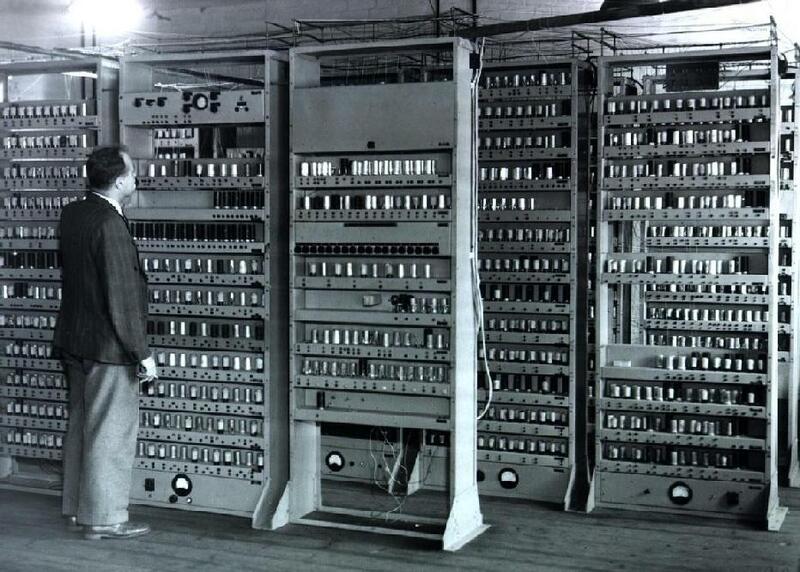 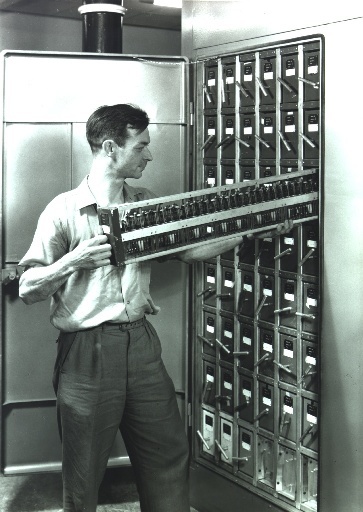 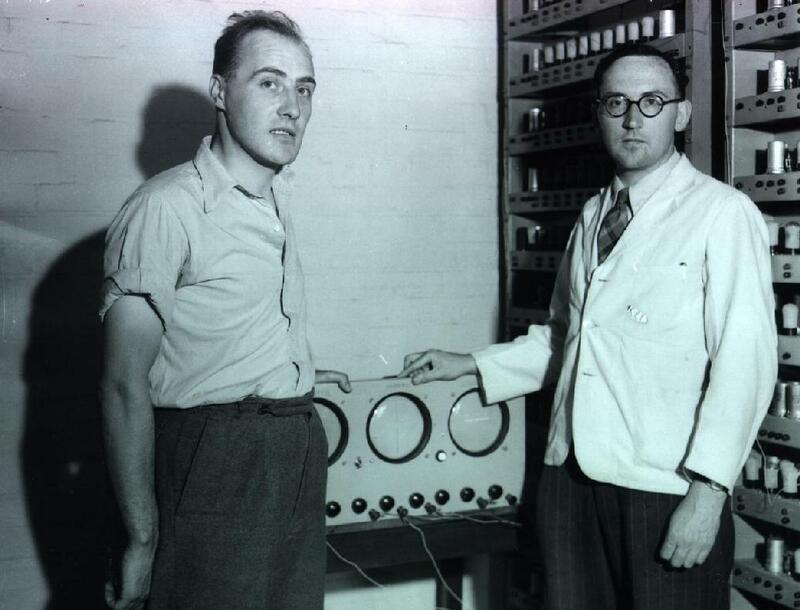 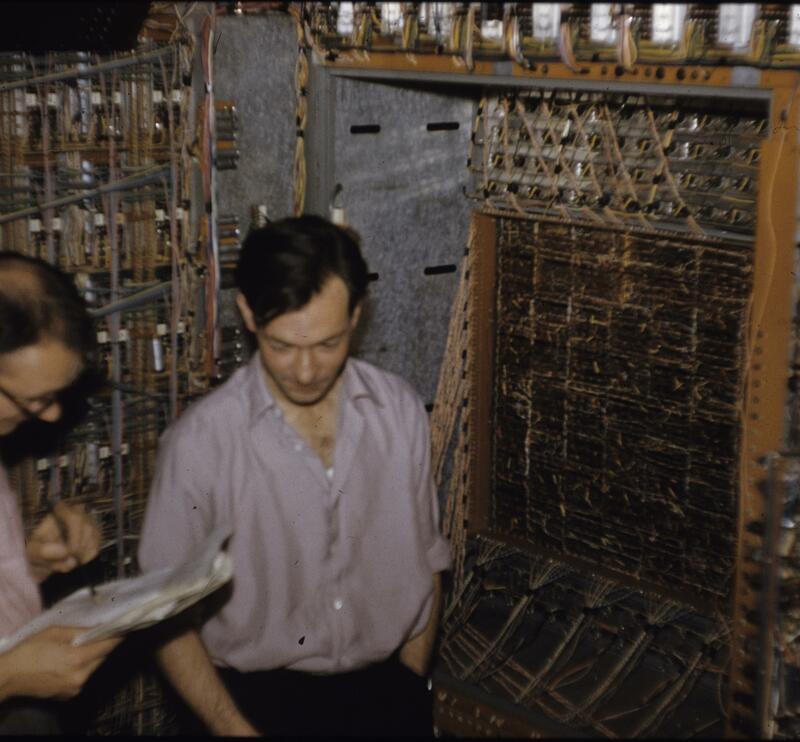 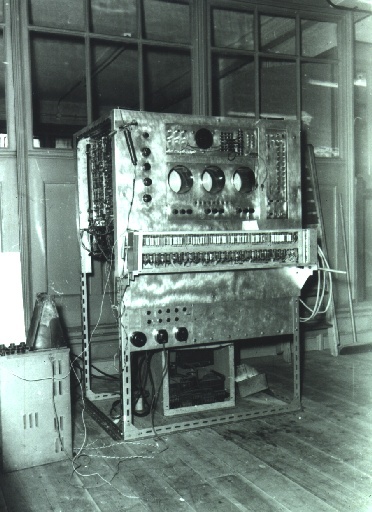 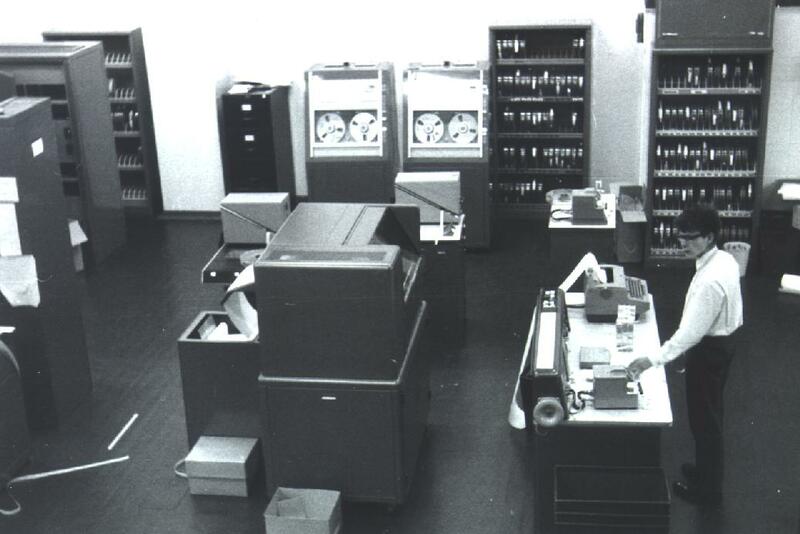 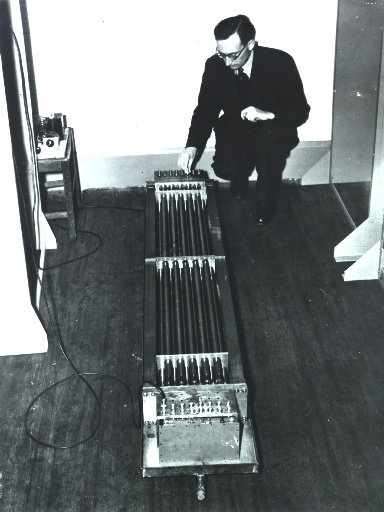 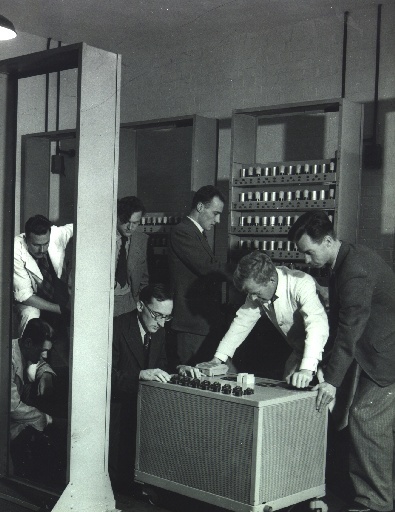 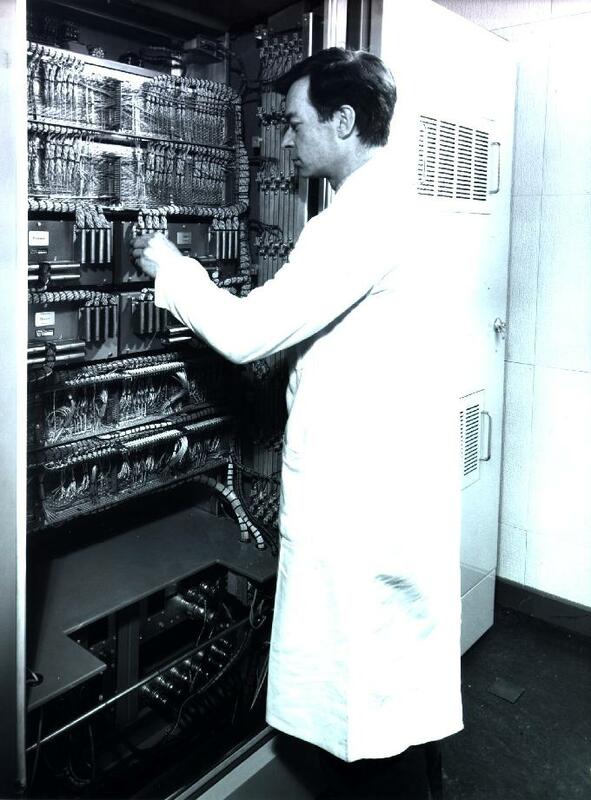 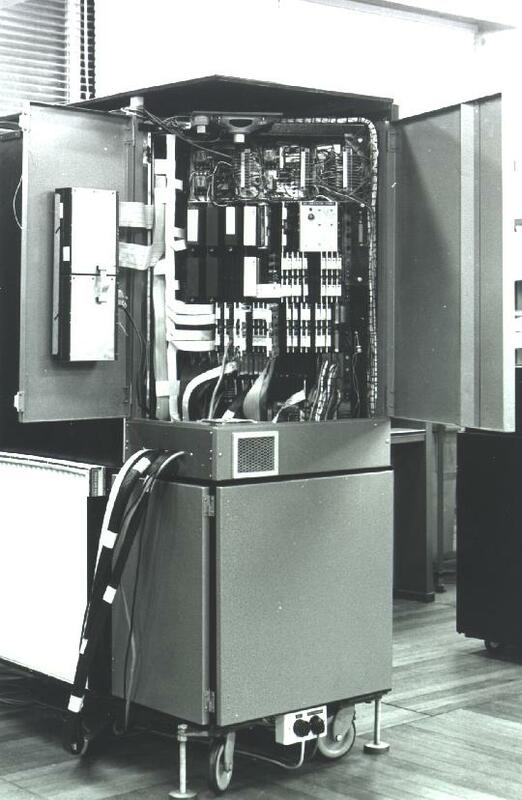 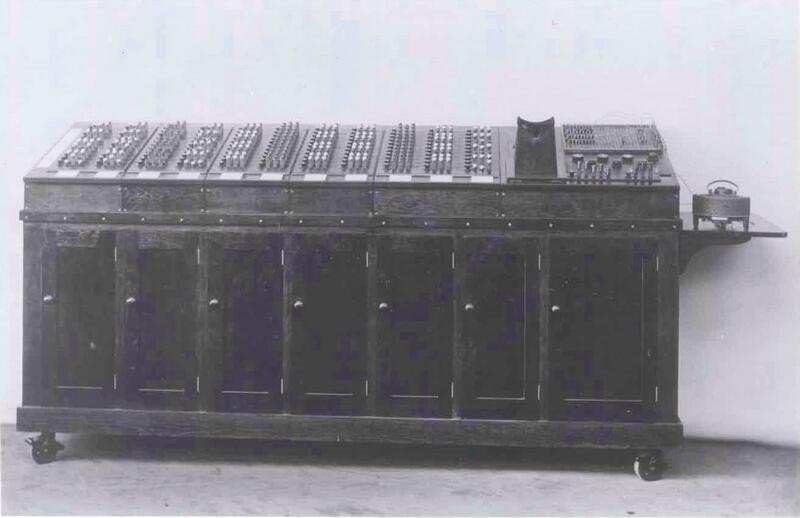 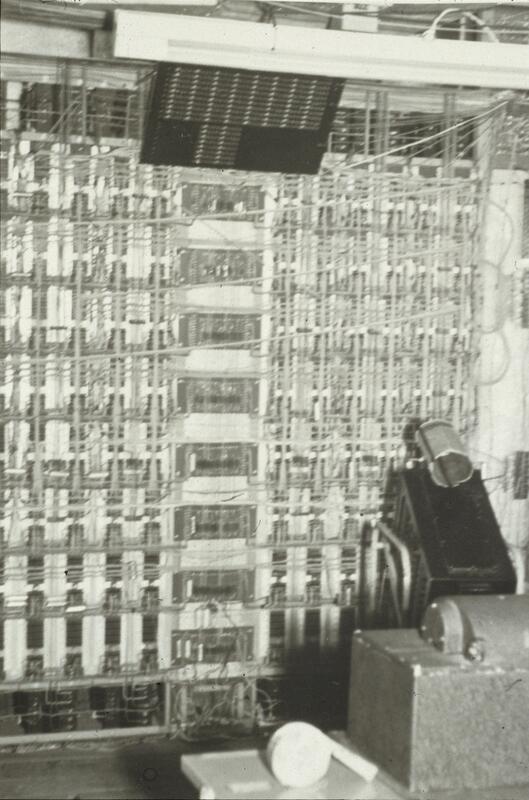 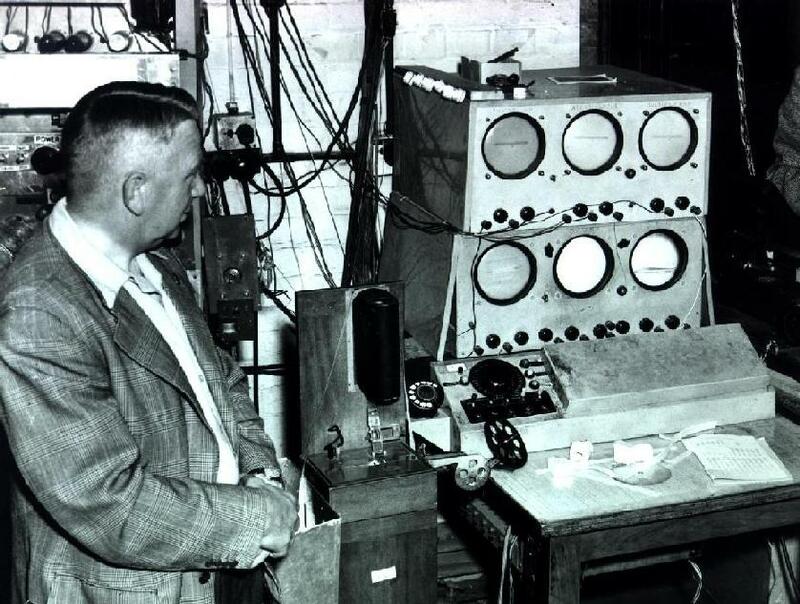 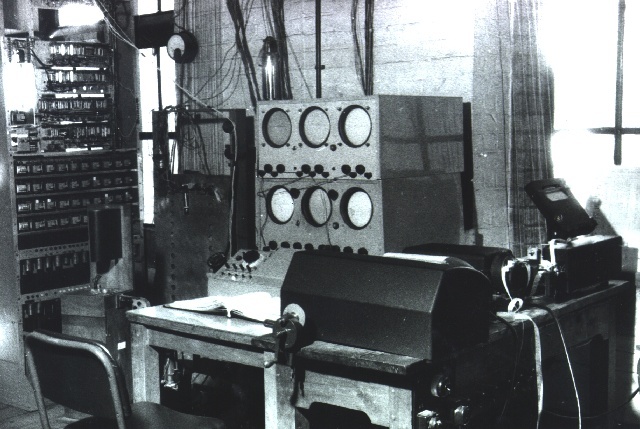 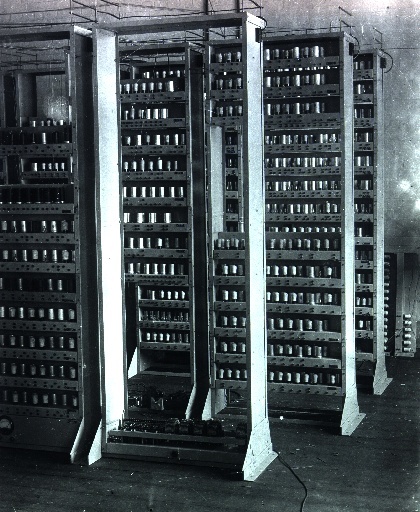 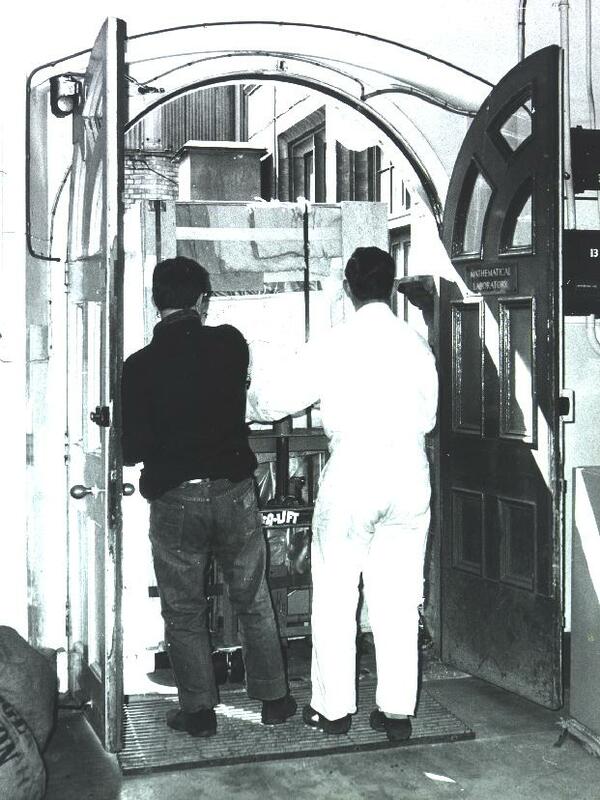 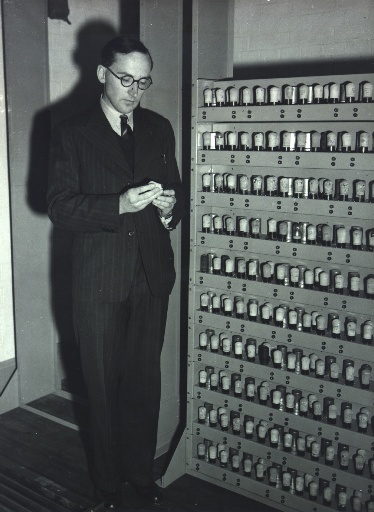 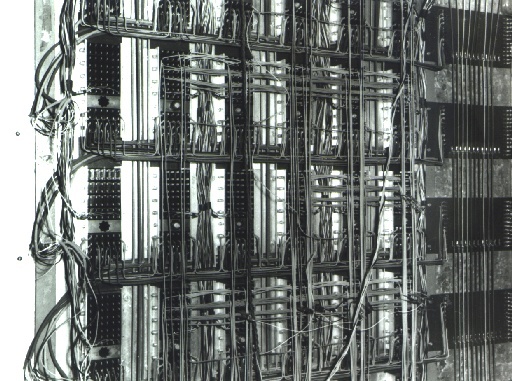 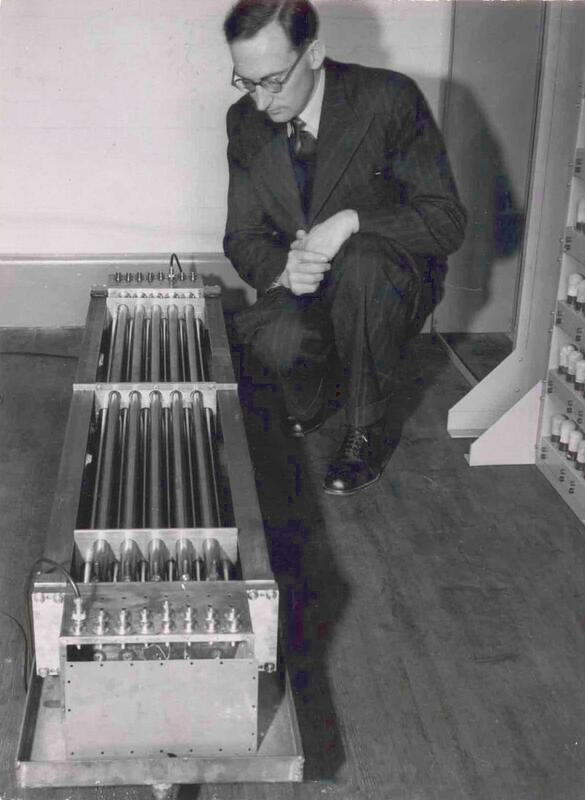 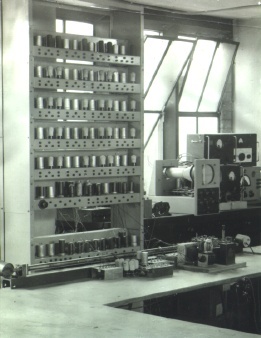 EDSAC II, 7th October 1959. 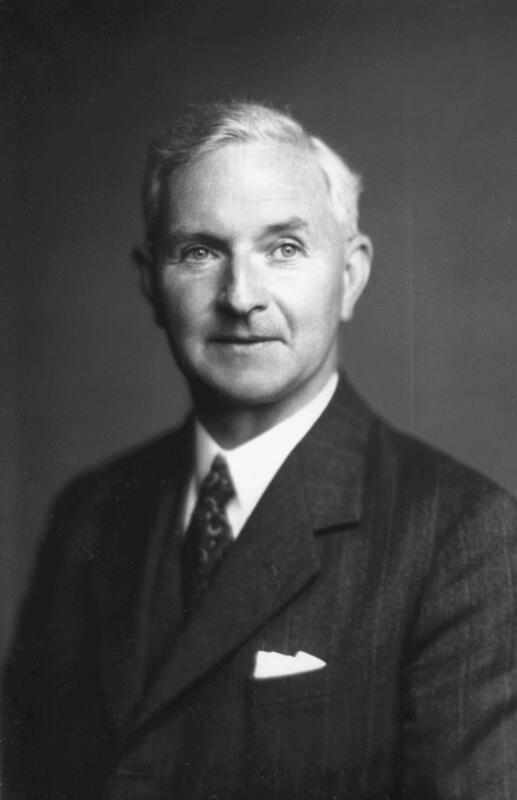 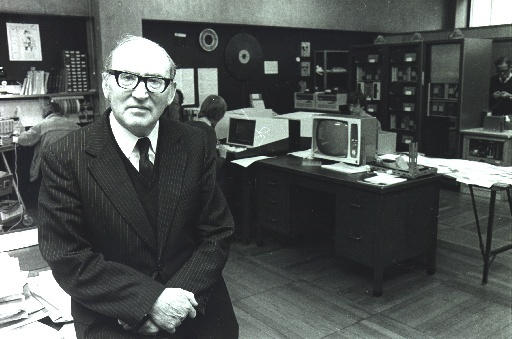 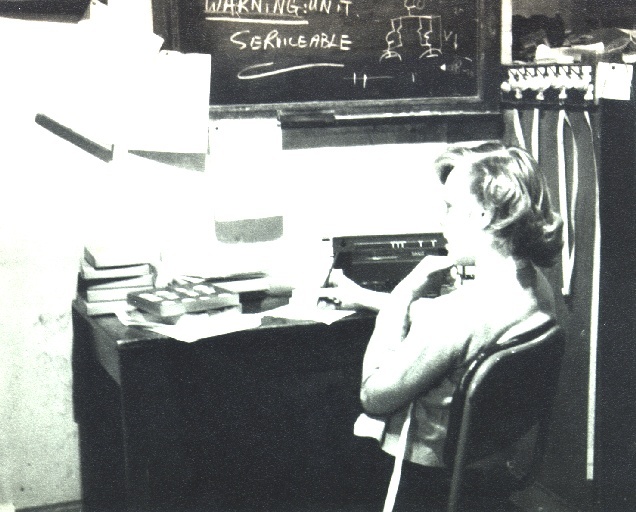 V.Webber (later Barron) seated by console. 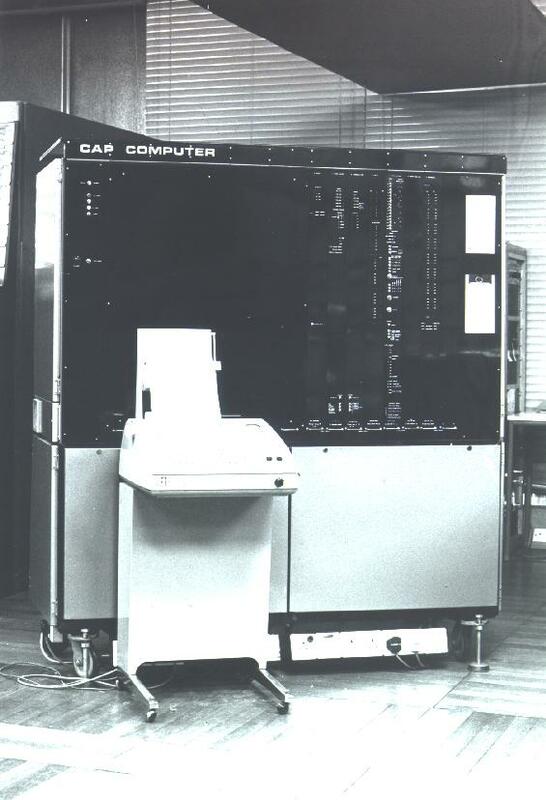 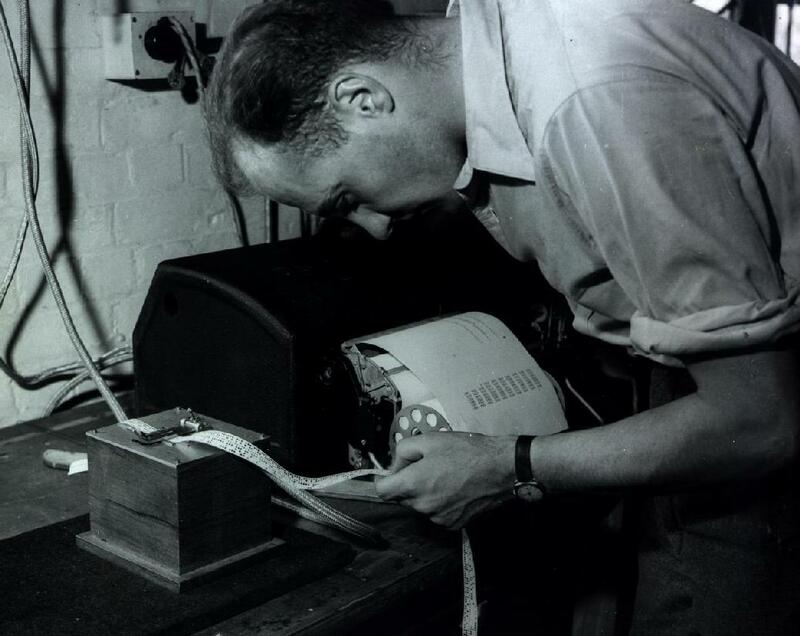 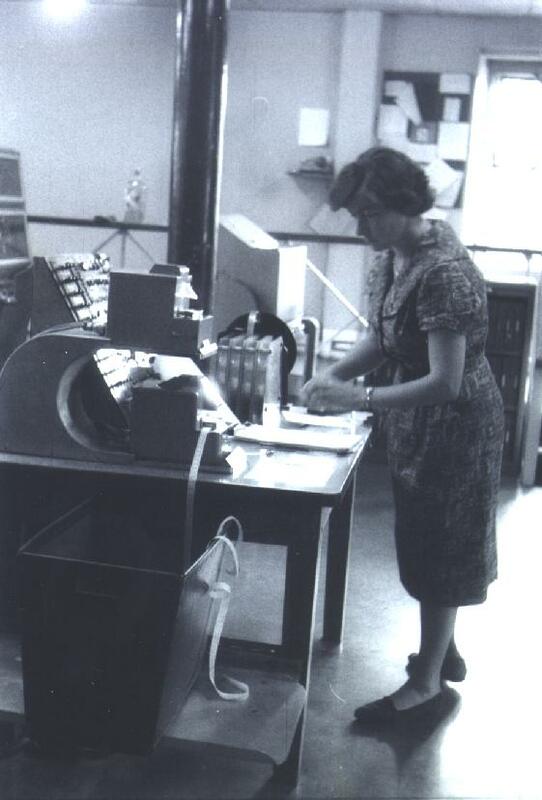 Liz Swann (later Howe) punching input tape. 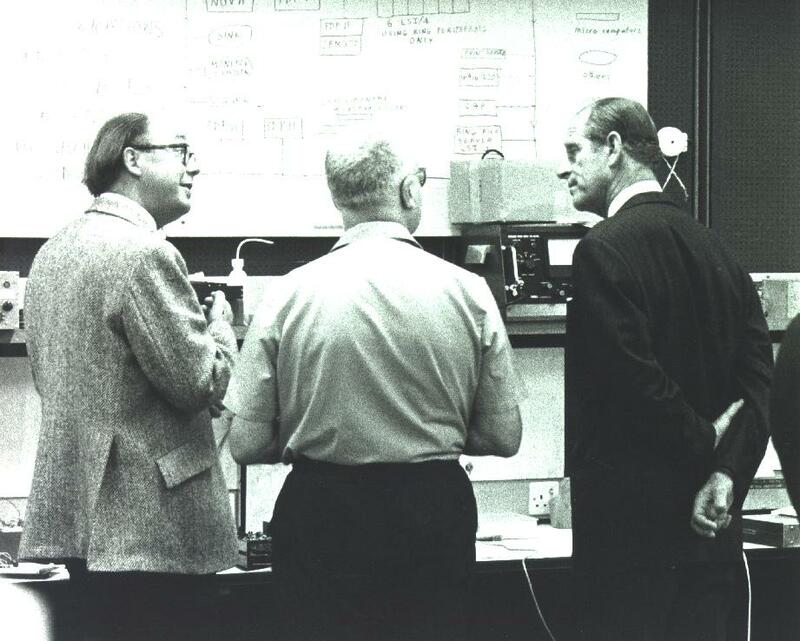 on occasion of their D.P. 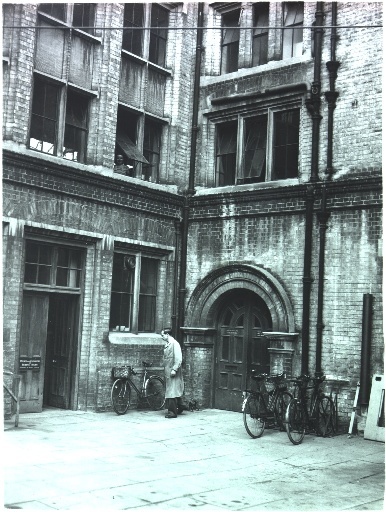 conference at Trinity College. 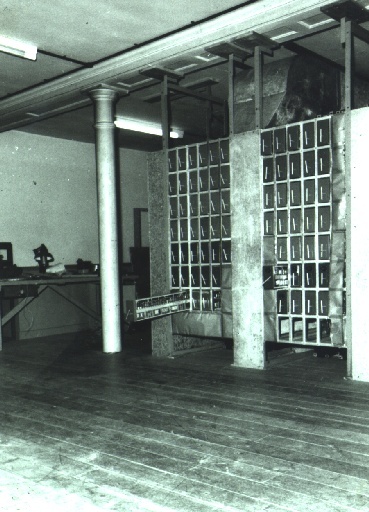 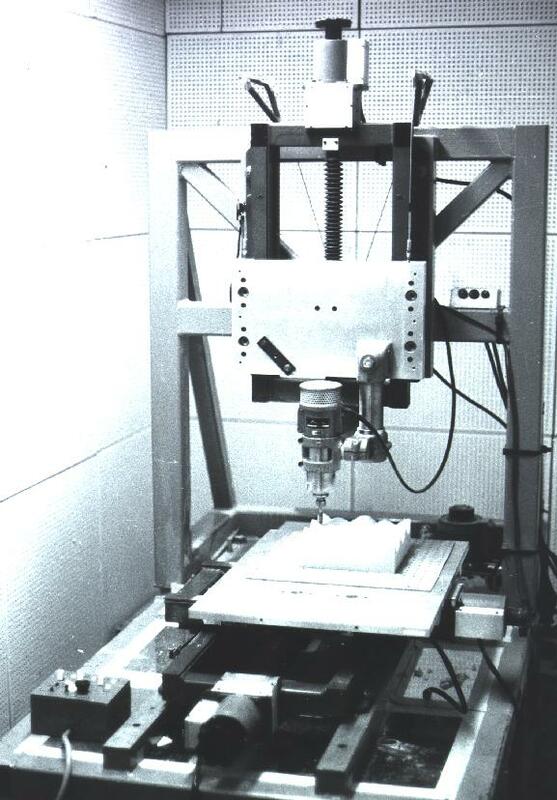 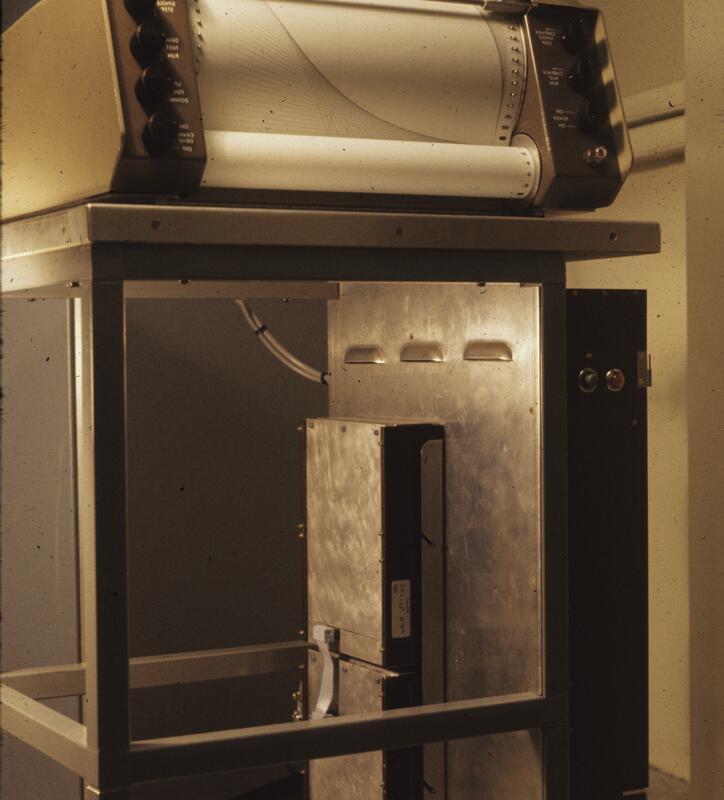 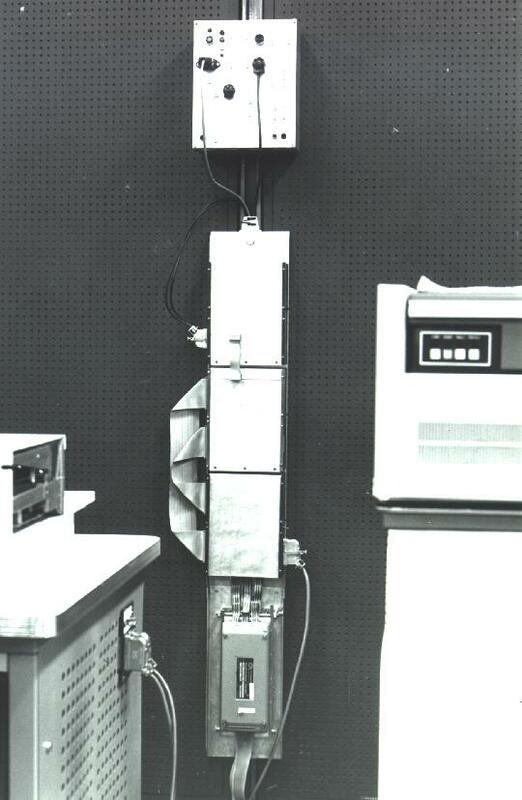 Foam cutting machine, 1st version, 1974. 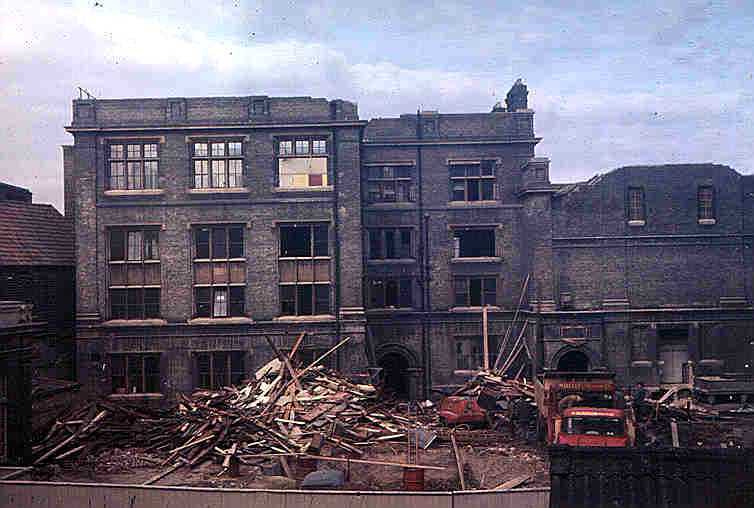 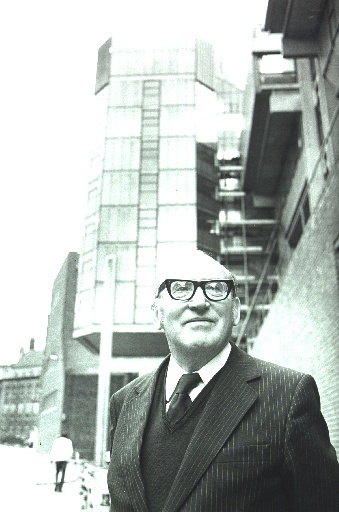 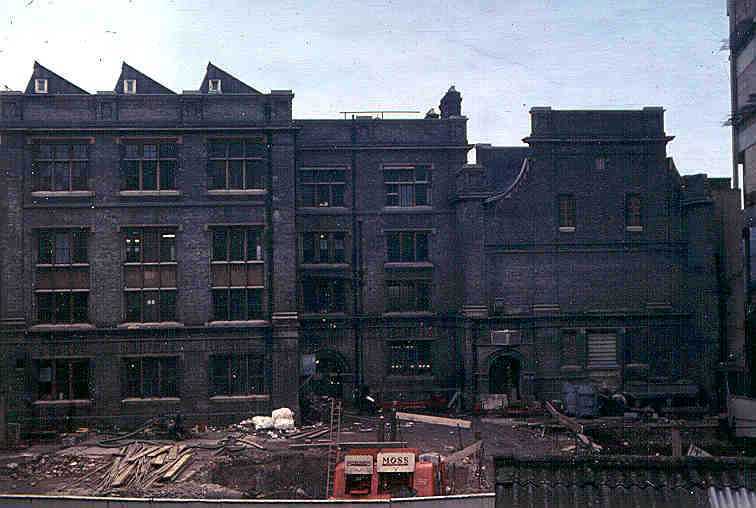 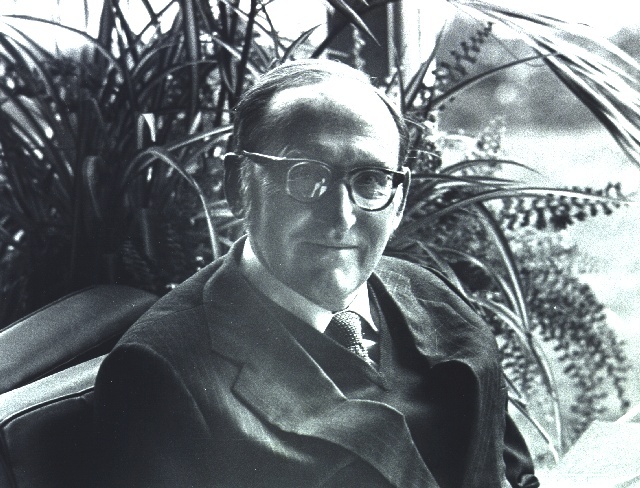 M.V.Wilkes retirement, July 1980, Corn Exchange St. 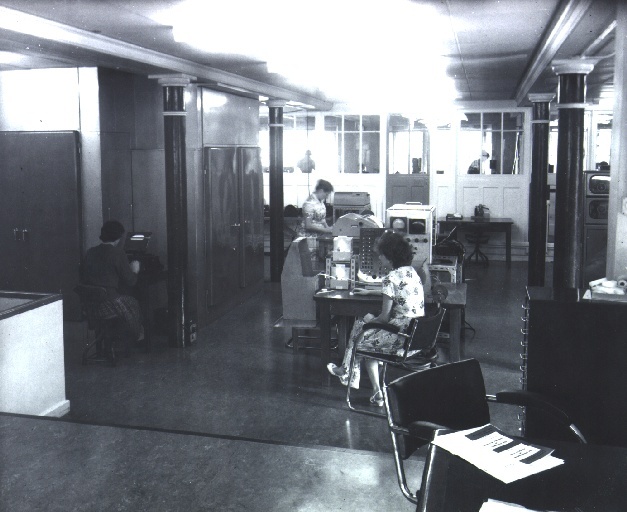 Copyright Computer Laboratory, University of Cambridge. 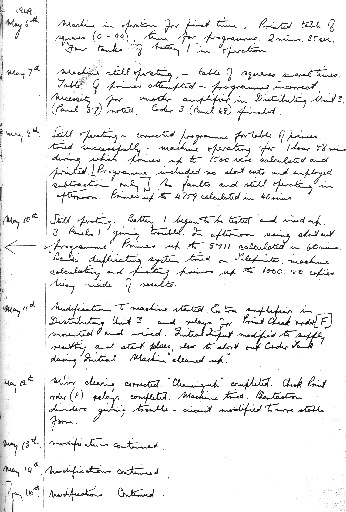 Reproduced by permission.